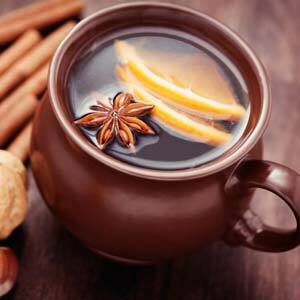 With the coming of autumn days we more and more often think about such wonderful beverages as mulled wine and grog, which don’t usually come to our mind in summer. Nothing could be better in wet autumn weather than to wrap yourself with a warm blanket and to drink a warming cocktail. 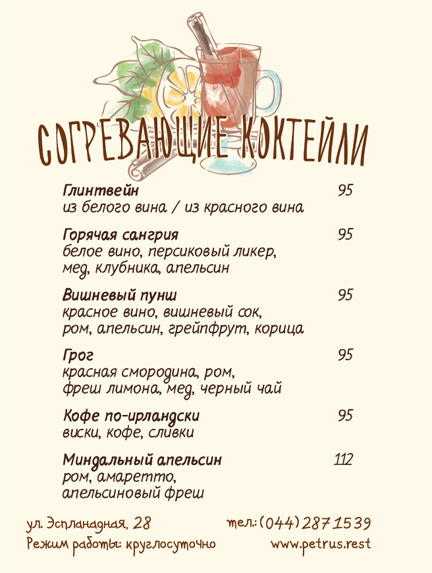 Any time of a day or a night restaurant varenichnaya “Petrus” offers its guests a special proposal — “Warming Cocktails”. Sipping hot sangria at the comfortable restaurant terrace, you will surely say that it’s lovely weather for ducks!